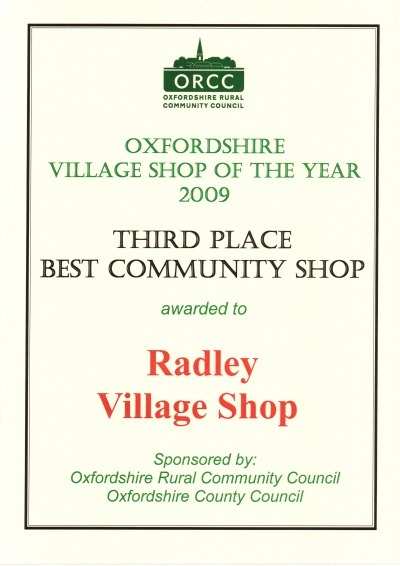 Radley Village Shop won third place in the Best Community-owned Shop of the Year category of the Oxfordshire Village Shop of the Year 2009 competition organised by Oxfordshire Rural Community Council. 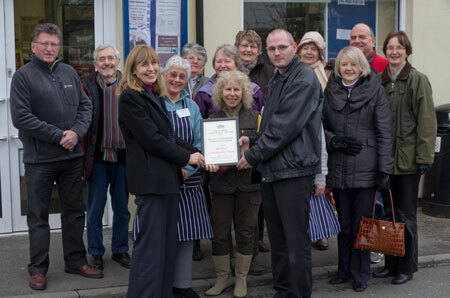 The certificate and prize of £50 were presented on 5 February 2010 to the shop manager, John Goodenough, by the ORCC Village Shops Development Worker, Jane Barker. 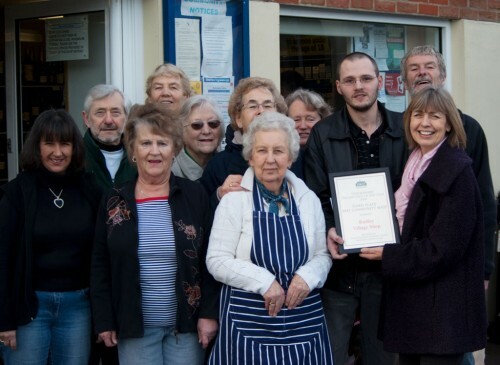 The annual competition aims to boost the profile of village stores and has two categories – community owned and independently owned. Shoppers nominate stores and the council compiles a shortlist of entrants, which are then visited by the judges. The winner of the community owned category was Ewelme Village Store with Wootton Stores (near Woodstock) in second place.